Solemn ceremonies will be held throughout San Diego County Sunday to remember the nearly 3,000 people who died during the terrorist attacks of Sept. 11, 2001. The FDNY Retirees of San Diego, the National City Fire Department, and Wounded Warriors will team up with the USS Midway Museum for a memorial onboard the ship’s deck from noon to 2 p.m. The National City firefighters union will honor the 343 firefighters who lost their lives with a breakfast at NCFD headquarters at 7 a.m., followed by a ceremony at 8:45 a.m. Firefighters were asked to wear Class A uniforms. In Vista, Faith Lutheran Church will hold ceremonies beginning at 11:30 a.m. in the Community Life Center Gym. The United Methodist Church in Mission Valley will have special worship services throughout the morning to honor all those whose lives were lost. Services are scheduled for 8 a.m., 9:30 a.m. and 11 a.m.
“Fifteen years ago, nearly 3,000 innocent lives — men, women and children who had been going about their normal routines — were taken from us, depriving families and loved ones of a lifetime of precious moments,” President Barack Obama said in a proclamation noting the 15th anniversary of the attacks. “But the acts of terror of Sept. 11, 2001, sought to do more than hurt our people and bring down buildings. They sought to break our spirit and destroy enduring values that unite us as Americans. 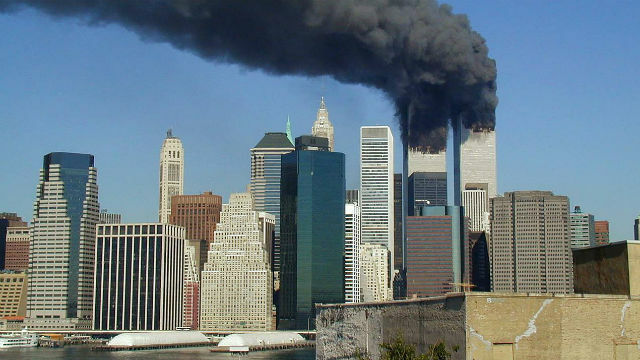 “Fifteen years ago today, Al-Qaeda terrorists hijacked four commercial airliners to use as suicide missiles against major American landmarks, including the Pentagon and New York’s World Trade Center, where most of the nearly three thousand victims perished,” Brown said. “Each year since those terrible events, we have observed September 11 as Patriot Day to honor both those who lost their lives and the men and women who showed such bravery in responding to the attacks and aiding the victims.